While we truly do not advocate drinking expired milk or using milk that is too far gone, soured milk can add flavor to your bread and biscuit recipes. Whether you choose to use it is completely up to you, but before you decide, let's look at both sides of this controversial kitchen issue. Is Soured Milk Safe to Bake With? Online research on the subject of baking with soured milk turns up a lot of mixed information. Some say to bake only with soured raw milk, while others claim that it is safer to bake with soured pasteurized milk. A temperature of 145 F will kill off the bacteria that can be found in milk. Many people use soured milk for bread making because internal bread baking temperatures far exceed that mark. Remember that there is a difference between milk that has slightly soured and milk that is just too far gone. A quick check of your milk will reveal a sour smell, which many bakers prefer to use. If your milk is to the point of getting thick or chunky, it's best to just dump it down the drain. When it comes to using soured milk, use your own discretion. Many of us have been using raw or pasteurized sour milk for decades and felt no ill effects. Others are completely turned off by the idea of using spoiled milk. The ultimate decision about whether to bake with it or not is up to you and what you are comfortable with using. What Does Soured Milk Add to Bread? The soured milk itself gives a rare and wonderful texture and flavor to breads. Many bakers will even go as far as setting milk out on the counter to spoil for bread baking. 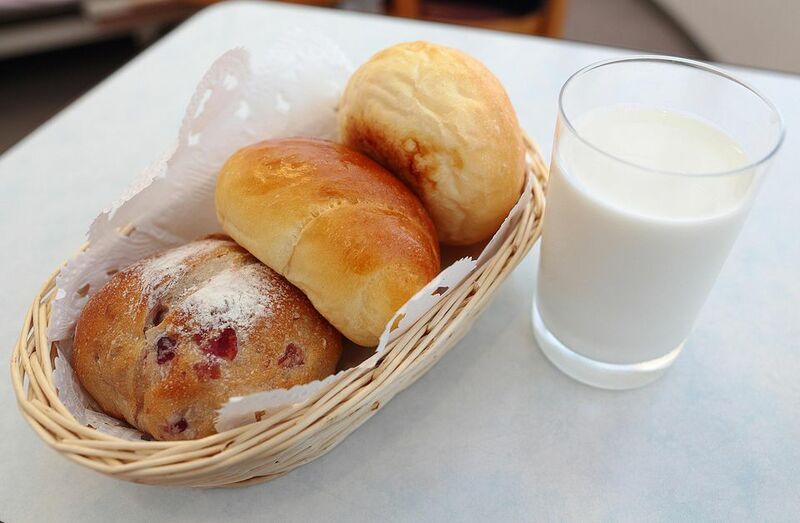 This is called bread milk. The spoiled milk is then used in place of regular milk called for in bread baking recipes. It can be used for bread and biscuit recipes and, quite often, it's even better if it reaches room temperature before mixing it into the dough. The raw or pasteurized milk that has been in your refrigerator and is just starting to go bad is what we would call soured milk or spoiled milk. This is the milk we are referring to when discussing the safety of using expired milk in bread. On the other hand, 'sour milk' is milk that has intentionally been soured with an additive. This is often done by adding lemon juice or vinegar and it is a popular substitute for buttermilk. These types of milk have a higher acidity than regular or spoiled milk and are used to balance the other ingredients in the recipe. Be sure to read your recipes very carefully if they mention sour milk in the ingredients. Typically, it will say 'buttermilk or sour milk' when referring to milk that has been soured with an extra ingredient. Are Those Baking Supplies in Your Cupboard Still Good?